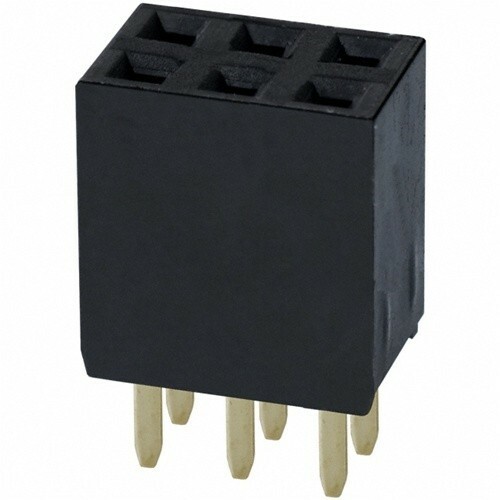 2x03 Position, Straight, Female Socket. Used on ArduPilot Oilpan Shield Kit to connect the ArduPilot Mega and the Oilpan together, if you have bought the "Oilpan with pins" you will not need to buy these. These can also be used with custom PCBs or general custom headers.